But just like in any great love affair, making sure your pen endures the test of time requires special care and attention. So here are a few easy ways that we’d like to recommend to help you extend the life of your favorite fountain pen. Extreme hot and cold temperatures can cause serious damages to pens. Common problems can include damage to the finish and seals, discoloring and fading, cracking, swelling, ink evaporation, and leakage. Don’t leave your pen in vehicles or other areas where it may possibly be exposed to extreme temperatures. Every fountain pen is unique. And as I’m sure we all can attest to- not all pens, nor their parts, are created equally. This is why it’s so important to always use the manufacturer’s suggested refills and parts. While lower costs and convenience can make it can tempting to use generic parts or refills created by different makers, doing so can not only damage your pen, but may also void the manufacturer’s warranty. No matter how durable your pen appears to be, or what incidental damage it’s previously been able to withstand- pens are fragile. They are not designed to be thrown around or handled roughly. Don’t shake your pen, or press too firmly on the tip while writing. Nor should you use it on surfaces and materials it wasn’t designed for. However, you should routinely polish it, as well as drain your inking system. When you aren’t using your pen, it’s important that you store it properly. Don’t toss it aimlessly into your purse, briefcase, pockets, drawers, and other unsuitable areas. Whether in your day-to-day activities or during traveling, for long-lasting results, it’s important that you store your pen in an upright position with the cap tightly secured. When storing for long periods of non-use, your pen should be kept in a flannel, suede, felt or leather protective case, pouch, or cabinet. Regularly clean your nib to keep it flowing well. Doing so protects your pen from damages such as abrasions, nicks, and breakage. Also make sure to refer to your owner’s manual on how to best do so, since again, every pen is different. Please refer to your Tornado warranty instruction booklet for even more technical details on how to keep your fountain pen flowing smoothly for years to come. 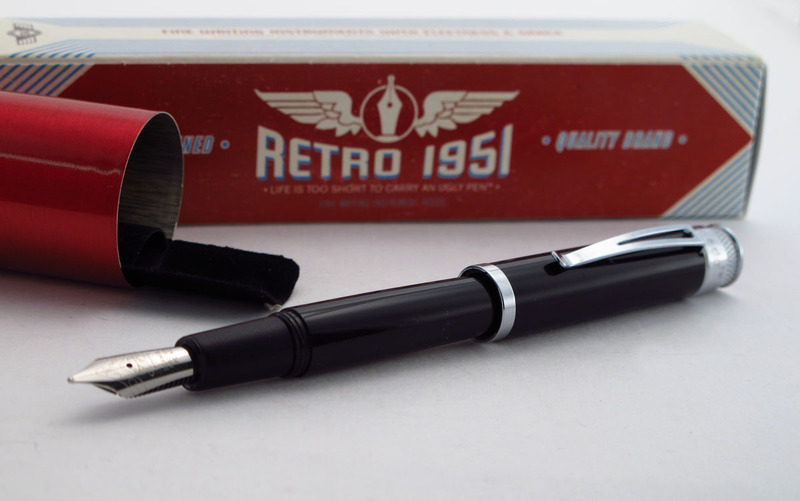 Do you have more questions on how to properly care for your Retro 51 fountain pen? Wondering what refill or cartridge to use? Leave a comment here, or on our Facebook wall and we’ll be more than happy to respond to your questions!